Association Disclosure: Merchant Understands and Agrees to the Following Language Regarding Responsibilities: Member Bank Responsibilities: (1) A VISA member is the only entity approved to extended acceptance of VISA products directly to a merchant. (2) A VISA member must be a principal (signer) to the Merchant Agreement. (3) Woodforest National Bank is responsible for and must provide settlement funds to the merchant. (4) Woodforest National Bank is responsible for all funds held in reserve that are derived from settlement. (5) Woodforest National Bank is responsible for educating merchants on pertinent VISA International Operating Regulations with which merchants must comply. Merchant Responsibilities: (1) Ensure compliance with cardholder data security and storage requirements. (2) Maintain fraud and chargebacks below thresholds. (3) Review and understand the terms of the Merchant Agreement. (4) Comply with VISA International Operating Regulations. The responsibilities listed above do not supersede the terms of the Merchant Agreement and are provided to ensure that the merchant understands some of the important obligations of each party and that the VISA Member, Woodforest National Bank, is the ultimate authority should the Merchant have any problems. EACH PERSON SIGNING BELOW CERTIFIES THAT ALL INFORMATION PROVIDED IN THIS APPLICATION IS TRUE, CORRECT, AND COMPLETE, AND EACH PERSON AGREES AND INTENDS TO BE BOUND BY ALL PROVISIONS SET FORTH IN THIS DOCUMENT, INCLUDING, BUT NOT LIMITED TO THE ONLINE MERCHANT PAYMENT CARD APPLICATION - TERMS AND CONDITIONS, WHICH ARE HEREBY INCORPORATED BY REFERENCE FOR ALL PURPOSES (THE MERCHANT PAYMENT CARD APPLICATION - TERMS AND CONDITIONS CAN BE OBTAINED BY VISITING https://woodforestcellitplus.com/woodforest_cell_it_terms.pdf. Each person authorizes the Bank or any credit reporting agency employed by the Bank or any agent of the Bank, to make whatever inquiries the Bank deems appropriate to investigate, verify or research references, statements or data obtained from the Merchant for the purpose of this application or any application for accompanying POS terminal(s) or equipment financing. An additional copy of the Terms and Conditions will be sent to the business entity indicated above along with the welcome letter upon approval of such business entity to accept payment card by Woodforest National Bank. Pursuant to Section 8.1 of the Terms and Conditions, the initial term is for a length of three (3) years and the Agreement will automatically renew for additional three (3) year periods, unless terminated by any party upon written notice at least thirty (30) days prior to the end of the then existing term. For detailed information related to the termination rights and obligations set forth in this Agreement, see Sections 2.14, 2.15, 2.17, 2.24, 2.27, 2.30, 2.34, 7.2, 7.3, Section 8 in its entirety 10.12 and 10.16, of the Terms and Conditions, which are a part of this Agreement. FOR ALL MERCHANTS WHO ARE LLCS, PARTNERSHIPS AND/OR CORPORATIONS – RESOLUTION - The indicated officer/partner identified signing below has the authorization to execute the Merchant Payment Card Agreement with Woodforest National Bank on behalf of the herein named LLC, partnership or corporation. By signing below, I represent that I have read and am authorized to sign and submit this application for the above entity, which agrees to be bound by the American Express® Card Acceptance Agreement ("Agreement"), and that all information provided herein is true, complete, and accurate. I authorize Merchants’ Choice Payment Solutions and American Express Travel Related Services Company, Inc. ("AXP") and AXP’s agents and Affiliates to verify the information in this application and receive and exchange information about me personally, including by requesting reports from consumer reporting agencies from time to time, and disclose such information to their agent, subcontractors, Affiliates and other parties for any purpose permitted by law. I authorize and direct Merchants’ Choice Payment Solutions and AXP and AXP’s agents and Affiliates to inform me directly, or inform the entity above, about the contents of reports about me that they have requested from consumer reporting agencies. Such information will include the name and address of the agency furnishing the report. I also authorize AXP to use the reports on me from consumer reporting agencies for marketing and administrative purposes. I am able to read and understand the English language. Please read the American Express Privacy Statement at http://www.americanexpress.com/privacy to learn more about how American Express protects your privacy and how American Express uses your information. I understand that I may opt out of marketing communications by visiting this website or contacting American Express at 1-800-528-5200. I understand that upon AXP's approval of the application, the entity will be provided with the Agreement and materials welcoming it either to AXP's program for Merchants’ Choice Payment Solutions to perform services for AXP or to AXP's standard Card acceptance program which has different servicing terms (e.g. different speeds of pay). I understand that if the entity does not qualify for the Merchants’ Choice Payment Solutions servicing program that the entity may be enrolled in AXP's standard Card acceptance program, and the entity may terminate the Agreement. By accepting the American Express Card for the purchase of goods and/or services, or otherwise indicating its intention to be bound, the entity agrees to be bound by the Agreement. 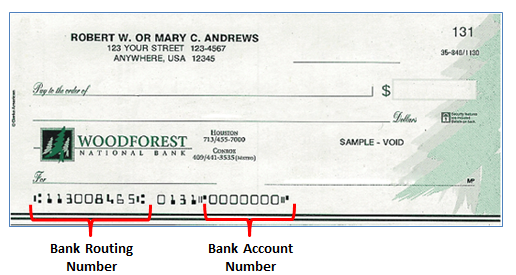 By checking this box and signing below, I agree to items I-IV above and acknowledge that the MERCHANT PAYMENT CARD APPLICATION - TERMS AND CONDITIONS, which are incorporated into the agreement by reference, can be obtained by visiting https://woodforestcellitplus.com/woodforest_cell_it_terms.pdf. The Internal Revenue Service does not require your consent to any position of this document other than the certification required to avoid backup withholding. Personal Guaranty: The undersigned Guarantor hereby, individually, agrees to the terms set forth in section 2.BBB of this Agreement. The undersigned Guarantors further agree to pay to the Bank all expenses (including attorney fees and court costs) paid or incurred by the Bank in collecting such obligations and in enforcing this Guaranty.